This is a extremely easy, low cost and time consuming way of earning some extra Steam funds for yourself. It might not bet a high earner but it beats many of the bad guides that’s out there, yeah I am looking at you scrap banking! This works but it’s not that great of a guide to be honest, it’s more suited the new trader that’s looking to learn how you can find profit on the Community market and at the same time make a tiny profit doing it. 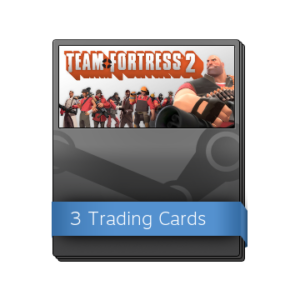 This guide is all about buying Trading Card booster packs from the Steam community market, unpacking them and selling the cards on the market for a tiny profit. If you open a booster pack you’ll get 3 trading cards, and there’s also a chance to get a rare card that sells for much more then the regular trading cards, but these are very rare and it isn’t something you should expect to get when opening a pack. All the prices in this guide is from when I wrote this guide, and they have all changed by now. Always check prices yourself before buying anything. You can head over here, it’s a search filled with booster packs for all the games on the market. 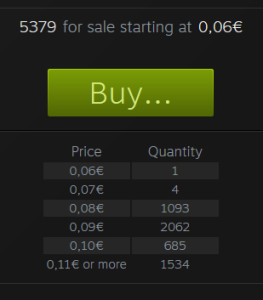 Let’s use a Team Fortress 2 booster pack as an example for this guide, at the moment when I’m writing this guide the highest buy order for a TF2 booster pack is 0,14 euro, if I would place a €0,15 buy order I would have the highest buy order and would be next in line to buy a pack. I could also place a buy order for €0,14 but then I would have to wait much longer to find a seller, but the profit would be higher in the end. This is something you’ll have to consider each time you’re buying your packs, always try and get as low of a price as possible without having to wait ages for it to go through. In one booster pack there’s 3 cards, so if we buy the pack for 0,15 that means I’m buying cards at 0,05 euro each (0,15/3=0,05 euro). So let’s head over to the listings for the actual cards and see what they are selling for. Now there’s one of two ways you can go, either you sell the cards as fast as you can and undercut the lowest price on the market, or you can sell the cards for a higher price and wait for them to sell later. Selling the cards at that price will take quite some time because there’s about 1000 other cards being sold for that price. If you’re looking for a faster way to profit then just move on to another booster pack for another game and do the same comparison regarding the price to buy the cards and what you’ll get for selling each card, just don’t forget there’s always a fee when selling on the Steam market, it’s important to choose a popular game so that there will be a demand in buying your cards. As I said in the beginning of this guide, this isn’t that great of a method, you’ll be making about 0,01-0,03 euro profit/card, which isn’t much. 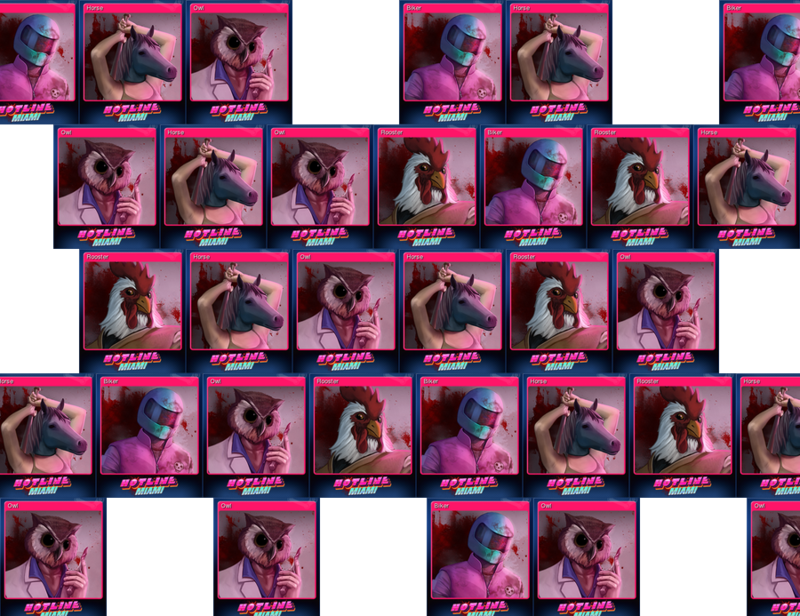 Worth keeping in mind that you always have a chance of getting a foil trading card (a foil TF2 card is worth around 0,45 euro for example) each time you unpack a booster pack, so if you do this on a larger scale then your highest earner will be these foil cards. 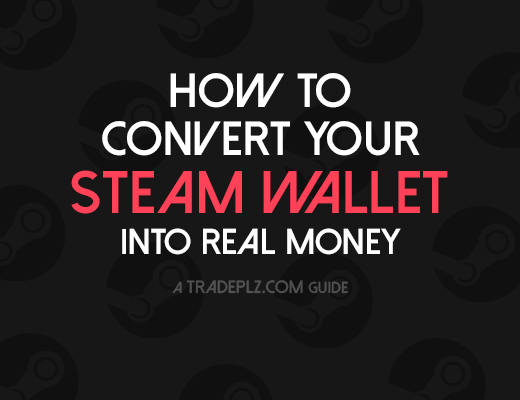 If you want to maximize your profit I suggest you save up some Steam funds and wait for one of the big Steam sales like the Summer or Winter sale. During these big sales people tend to go a little bit crazy, in order to afford all the great games they want to buy during the sale many will try and sell their items on the community market. And when a lot of people want to get rid of their items for a quick buck the prices will start to fall down. This is a perfect time to find some cheap booster packs, but I’d suggest you take a chill pill and don’t sell your trading cards at once, instead wait for the sale to end and for the prices to rise back up again, this can take from anything from days to weeks. 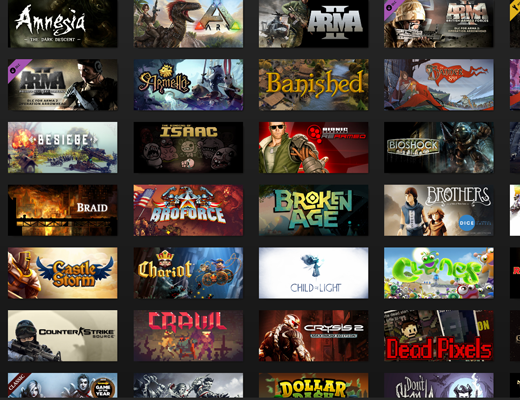 The big Steam sales is in general a great time to make some easy profit playing the market, you’ll see most items dropping in price, not just trading cards and booster packs.